Manually updating hotel information on sheets is a thing of the past. Now the hotels regardless of their size are bringing Hospitality Management Software into usage to yield better outputs. Even you are maintaining a property; it is always good to know the competitive strategy of the hospitality industry. Thus the innovative Hospitality Management Software has a big role to play. In the Absence of web presence it’s difficult to observer data to handle prescribe standards. It gets t tough to handle manually when multi-modal transport network exists & need to manage all key process like Details of Enquiry/ Guest detail verification/ Booking/ Room Allotment/ Room Members/ Billing/ Receipt. Team Cityweb has developed a custom Hotel Management Software which combines all records into single software. 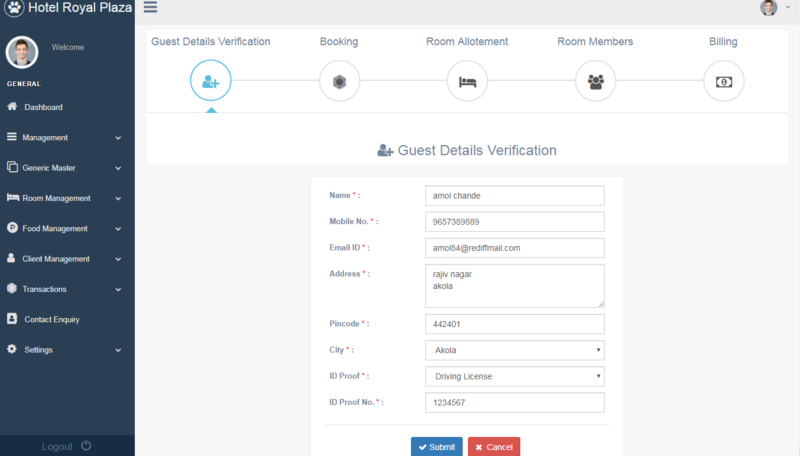 Our hotel Management software manages all hotel operation from enquiry to payment receipt. Also, it generates an enquiry id for a particular customer & it maintains the extra service expense of the customer. The hotel management software delivers a solution to maintain all records of the customer over the given period. One of the simplest hotel management Software for the hospitality business. This is one of the key features on your website that controls the occupancy of your rooms. Make the Book Now button on your website & when you select one type of room from the Single Room, Deluxe Room, and Double Room. You have to complete the whole reservation process by filling the enquiry form on your screen. On completion of booking the system should automatically generate a particular customer enquiry ID. At the same time, all data about guests booking & payment should pass to the hotel management systems where the hotel staff should be able to view & manage it. 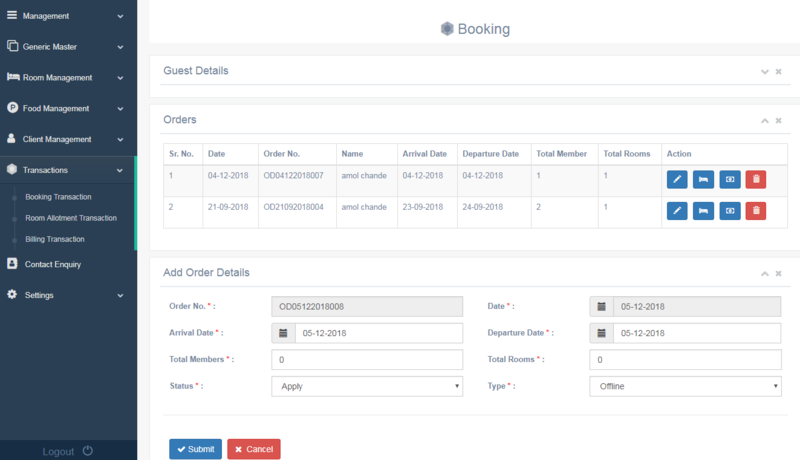 On receiving booking details, the system should mark room occupancy for a definite period of time. The hotel manager should be able to manage a booking, cancelation of booking, extra person charges, extra bed charges, food should manage. In Food management, user has a three categories i.e. Food category, food sub-category, food master. In the food category, the hotel manager manages the entire food item which they provide to their clients. In food sub-category, they include the food item sub-category & in food Master user add or delete the amount, food code, description & discount on that food item. In Client Management system, client detail from verification to billing is included. Client Management includes two-categories Client Master & Room Enquiry. 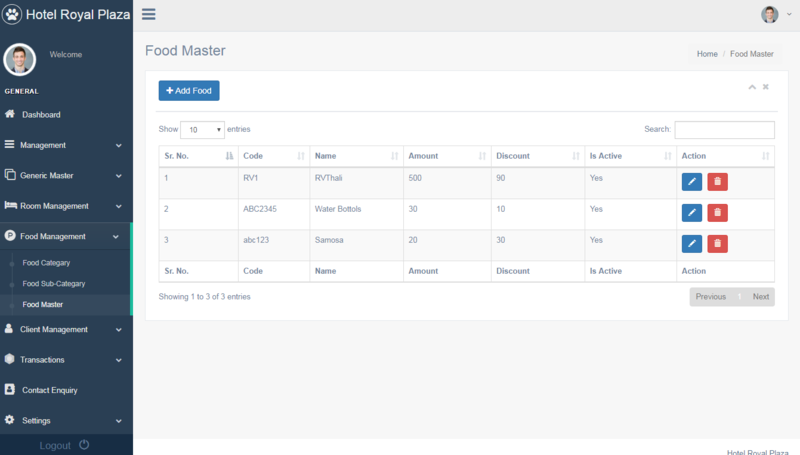 In Client Master User include a Guest Details Verification (Name, Mobile No., Email Id, Address, Pin code, ID Proof, ID Proof No.) After that, we come on the booking section where client order number, Arrival date, departure date, total no. of members total no. 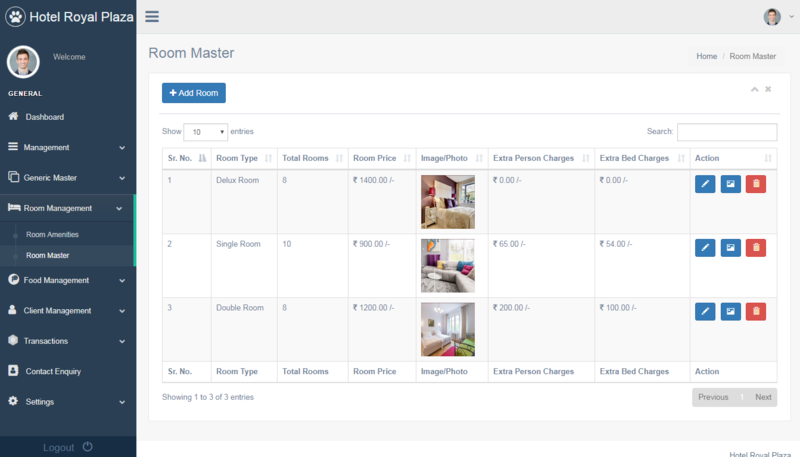 of rooms can easily manage by the user. After that Room Allotment process is done. In this operator can add or delete the allotted room to the guest. If a guest wants to include any member on their room then their information is added to this section. Lastly, the billing invoice generates according to the Guest Rooms and services. 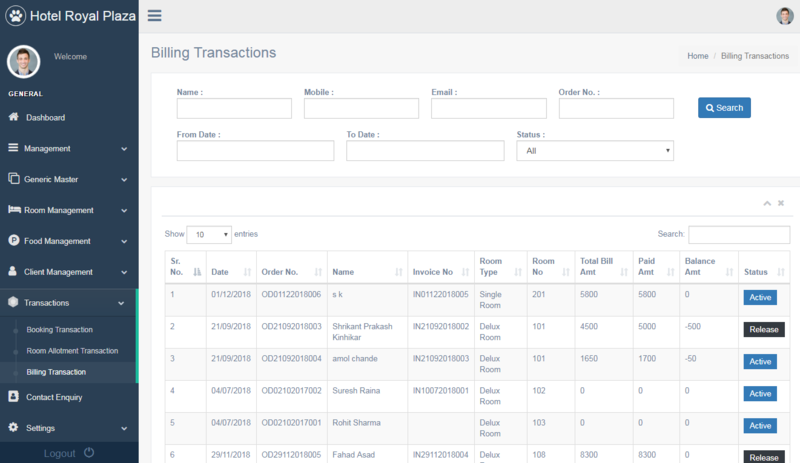 In Room Allotment Transaction the entries shows the record of all the clients with their status as release, active (stay), Transfer & cancelled their booking. 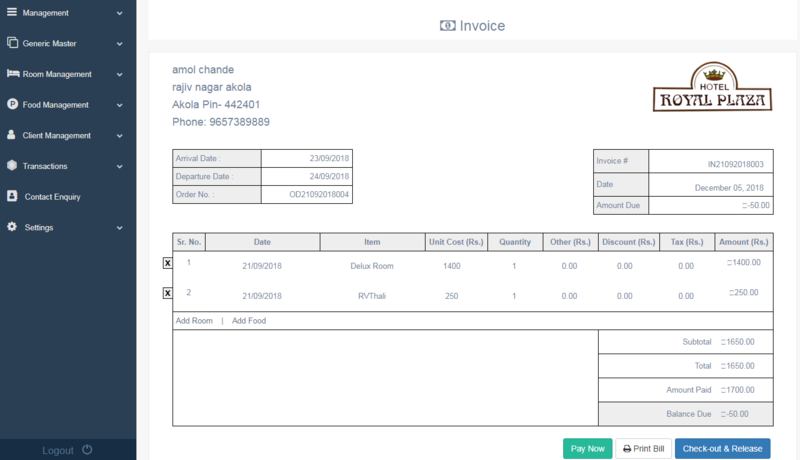 Billing transaction includes guest name, invoice No., Room type, room no., Total Bill, Paid, Amount, and Balance amount status is shown from this user can easily check the status of the guest.